ProperAutoCare.com is proud to introduce a new line of foam pads. These new pads incorporate our new gold foam. These new gold foam products are available exclusively at Proper Auto Care. 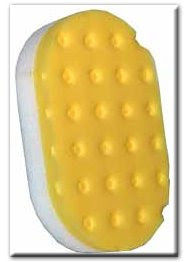 This latest development in foams is not to be confused with our yellow compounding pads. This new gold foam is the world's softest finishing foam. 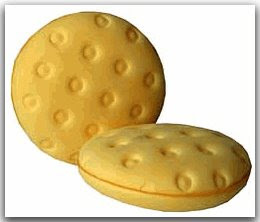 The CCS gold pads designed for use with a polisher are engineered for applying a final wax or sealant. While some forums or blogs may allude that there is no difference between these pads and the red or blue pads, there IS a difference. These new pads have 100 pores per square inch, versus the 60 pores per square inch on the red or blue Lake Country pads. 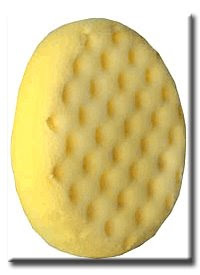 Because these pads have a higher number of pores per square inch than the Lake Country red or blue pad, these pads disperse a wax or sealant more evenly. This results in an even better shine. 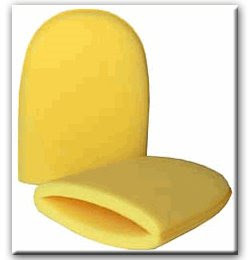 We also are using the same foam in our UltiMitt wash mitts. This softer foam babies your car even more than our UltiMitts with red foam. 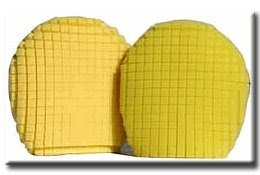 The front face of the mitt is cut into hundreds of half-inch sized cubes. When you insert your hand, the grooves around the foam cubes expand creating channels to trap sand, grit and debris. Our BLACKFIRE, Ultimate Hand Applicator Pad is two applicators in one. The thicker white side is an engineered, German, pre-polymer foam, specifically designed for polishing while the thinner, gold, side is a reticulated (exploded), super-soft, German finishing foam. Use the white side to apply your favorite polish or one-step product and the gold side to apply your favorite wax or sealant . Our BLACKFIRE Gold Applicator Pad literally glides over the surface applying a thin, uniform coating of glaze, wax or sealant without swirls or hazy patches. This is our finest, round, wax/sealant applicator. It's made from the same German-formula, gold, finishing foam used in our Concours, Gold Finishing Pads for machine finishing. These dimples keep the wax or sealant on the surface of the pad. This maximizes coverage allowing you to use less wax or sealant to cover a given area. And lastly, we are also debuting our gold foam Finger Pockets. The Pockets fit over three to four fingers, allowing you to get into some of the small spaces on your vehicle. These are perfect for cleaning and polishing wheels with small spoke openings. They're also great for cleaning and waxing those hard-to-reach areas of your vehicle. These items are in stock and ready for shipping.